~We have 3 Puppies left at this time 2 males and 1 female!!! Jezabel and Lucciano had puppies December 3rd!!! (I do have a few deposits but people may be waiting for next litter)!!! !NOTE: We will now be requiring Spay/Neuter contracts for all puppies sold as PET ONLY and we will be traveling with our own notary Public so all contracts will now be notarized. Please bring one witness of your own~ ~ WE HAVE BEEN STATE LICENSED FOR 3 YEARS!!!! Home of your next best friend! WE ARE STATE LICENSED AND VET INSPECTED! SouthSide will be standing PROUDLY with Standing Rock!!! SouthSide Proudly Supports Timmerman Racing!!!! I'm Brett Timmerman from Wapello IA. Racing has ran in my family for years it started in the 80s with my dad. After my Dad retired from racing my Mom stepped in a few years later... She got a track championship and lots of feature wins. I then started racing go karts that lasted a few years we then had a dry spell until 2002. My brother decided he wanted to get a car so we threw one together and shared it I raced Saturday nights he raced Friday nights.. He got out of it and I continue to still enjoy it... I've been racing for 13 years, I have 18 feature wins and got my first track championship at CJ speedway last year in my IMCA sport modified.. I've been blessed with amazing sponsors along with several fans of all ages... Currys Transportation has been a big part in my racing career but I would not be able to do this without the support of all my sponsors they are all like family to me. My newest sponsor is SouthSide Boxers (ThanksBecky) my goal this year is to go for a 2nd track championship along with several more feature wins... If you would like to get to know me you can likeBrett Timmerman Racingon facebook and follow week to week post. If you would like to support Brett too click here to find out more! We are small State Licensed Commercial Breeders based out of Mystic Iowa. We have started this adventure solely for the love of this wonderful breed! Our boxers are raised right in our living room so they can easily transition into your own. As of right now we have three of age Dams and will only be having a litter from each a year, up to 4 times. We do not allow our females to give birth until they are two years old, period! A dogs DNA changes up until they are two years old so if you find a breeder doing this ask them why? Ask them many questions! If their only response is that the vet says its ok, then go somewhere else because they obviously do not have their dogs best interest in mind! Our boxers are our babies and we find it very important to certify they are healthy and not OVERBRED! Just because a dogs body is biologically able to have puppies at one year old doesn't mean people should do that to them! 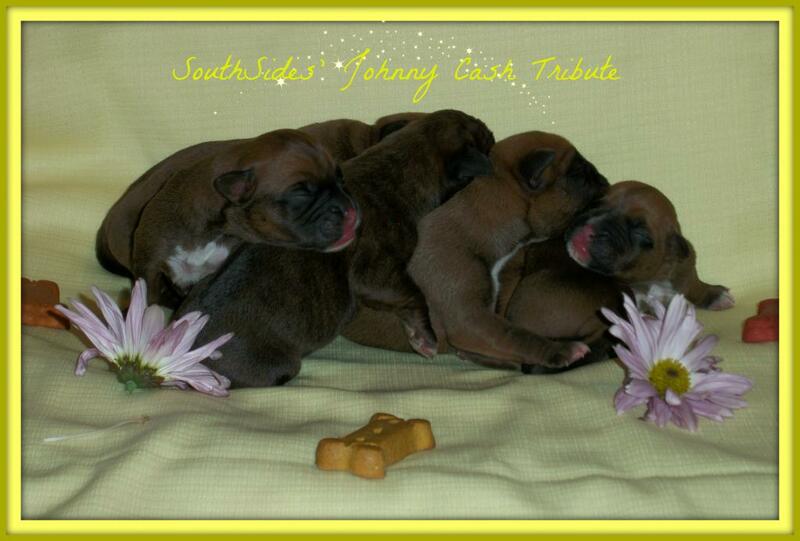 All of our boxers involved our breeding program are AKC registered. We also have one neutered white male boxer who is the biggest sweetheart ever! Click here to check us out on nextdaypets!